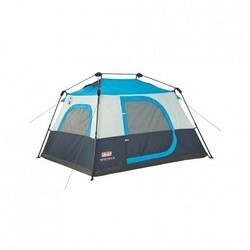 Cabin Tent, Size: 8 X 7 Ft. Size: 8 x 7 ft.
We offer Camping Tents that can be availed in different shapes like cabins and tents. Designed with utmost care using quality fabric, these are comfortable, sturdy and will allow one to have good night sleep. 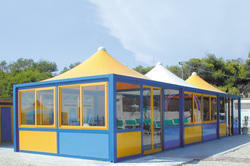 Further, our range can withstand changing weather conditions and are liked by our clients. A versatile and functional product assortment that compliments any office based seating requirement in the most efficient manner.